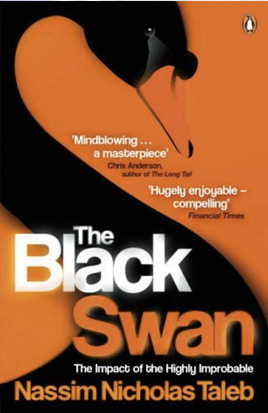 Our Black Swan Logo was inspired by Nassim Taleb’s recent book “The Black Swan” which I found hugely enjoyable and profoundly enlightening in a number of ways. The phrase “Black Swan Problem” was I now understand first used (to my great delight) by the Scottish Philosopher David Hume, back during the Scottish Enlightenment of the Eighteenth century, who gave it as an example of the “complications that arise when deriving general rules from observed facts”. In what has now become known as Hume’s Problem of Induction, he asked how many white swans does one need to observe before inferring all swans are white – a hundred, a thousand? The point being we don’t know. The absence of a negative does nor necessarily prove a positive. The Black Swan is not a hypothetical metaphor, as it was believed that all Swans were white, until this belief was shattered when Black Swans (Signus Atratus) were sighted in Australia following it’s discovery by Europeans. A random event satisfying the following three properties: large impact, incomputable probabilities, and surprise effect. First it carries upon its occurrence a disproportionately large impact. Second its incidence has a small but incomputable probability based on information available before prior to it’s incidence. Third a vicious property of a Black Swan is it’s surprise effect. At a given time of observation, there is no convincing element pointing to an increased likelihood of the event. In other words a Black Swan can hit anywhere, anytime, and it will have a highly significant impact. This to me seemed to fit with my experiences as a Liquidator, having dealt with many businesses that have failed as a result of some unanticipated event, sometimes specific to that business such as the loss of a key client, or fraud by an employee, or a flood, to wider phenomena such as the effect of the credit crunch, or the 9/11 attacks. 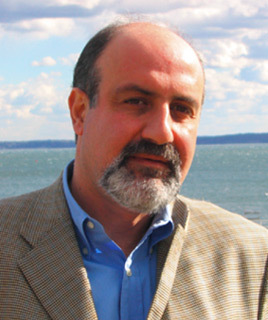 Taleb claims in “The Black Swan” among other things, that the single most important factor in succeeding in business is to be lucky. To avoid the bad Black Swans, and maybe catch a good one. He explains that bad ones tend to happen quickly say a civil war erupting, and good ones slowly (say the advent of the internet and computers). Luck? Well I do think that the harder you work, the luckier you get. And it is also true that every small businesses is vulnerable to bad luck, to a Black Swan. Not having the capital base to absorb a financial loss caused by an unexpected but significant effect often causes the failure of a businesses. Indeed, I would be so bold as to speculate that most business failures could be attributed to a Black Swan event, which proved to be eventually the downfall of the enterprise. It can take years for the business to eventually fail. The owners and managers will fight like hell to recover the situation, to trade out of the difficulties caused by such an event. Often to no avail. So it seemed to me that as a logo for an insolvency and recovery business, the Black Swan Logo had real meaning, as well as being quite cool.